Beat Saber in the Park? It Will Soon Be Possible With Oculus Quest! Are you tired of playing Beat Saber from the comfort of your living room or office? Soon, you’ll be able to play the massively popular rhythm game practically anywhere, as it’s coming to the Oculus Quest. Announced on March 18, Beat Saber for Oculus Quest will give you the same timing-based slashing gameplay of the other versions of the game, but without the need for a PC, console, or extra wires. The Oculus Quest version is scheduled to release later this spring. All you need to play the game on the go are the controllers and the headset itself. 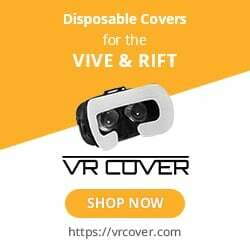 This makes it ideal for those who travel, and for people without spaces large enough to house traditional VR devices. In the teaser trailer, we see players spin in complete circles while wearing the Oculus Quest. Try to do this with a PlayStation VR headset, and you’ll unintentionally lasso yourself and risk pulling the console off its shelf. The portability will also make it easier to keep up with your VR fitness routine while you’re traveling. Even if you’re staying with a friend or in a hotel room, you’ll be able to get some time in with Beat Saber. This extends to if you want to play the game outdoors, or with numerous friends. Of course, any passersby will be able to see you swinging your arms from side to side, so just keep that in mind! Beat Saber quickly become one of the most popular games for any virtual reality devices. It has already managed to sell more than 1 million copies across its supported platforms, and with potentially more players jumping on board for Oculus Quest, that number should climb even higher. Beat Saber is currently available on Oculus Rift, HTC Vive, and PlayStation VR. The game’s first DLC song pack was recently released, as well.